The 2018 RAM 2500 has the Largest-in-Class optional 8.4-inch touchscreen, you’ll have complete command over every aspect of your communications and media. 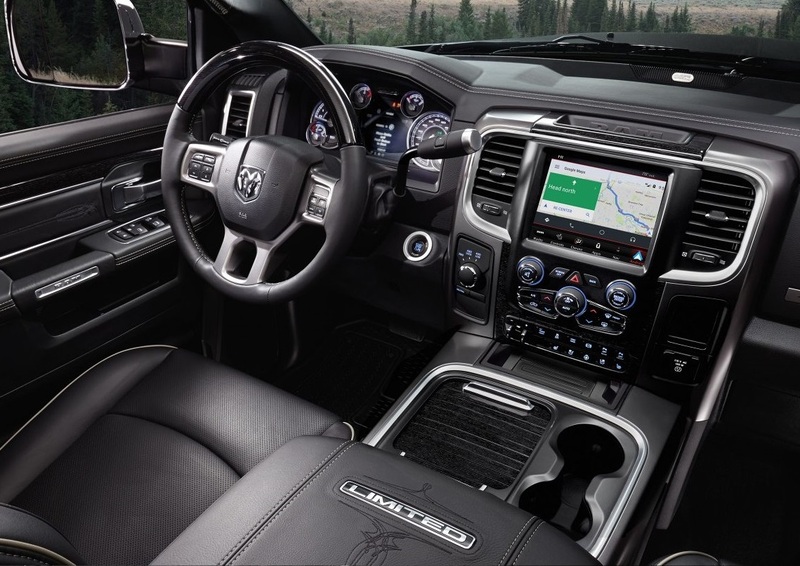 The 2500 offers an incredible command center that is designed to put everything you need at your fingertips. Support for your smartphone is included with Apple and Android devices fully supported. Relax in the first-class luxury as you soak into premium leather seats and listen to music on the premium sound system that puts you in the center of your music. The vehicle also includes options like remote key lock, SOS calling and vehicle finder so you can stay safe along the road. The interior of the 2018 RAM 2500 near Fox Lake Illinois has to be seen to be believed. It features an outstanding level of features and you’ll love how well the 2500 seems to blend into your lifestyle. Come down and explore all of your options at Antioch RAM so you can get the best deal possible on your next vehicle.